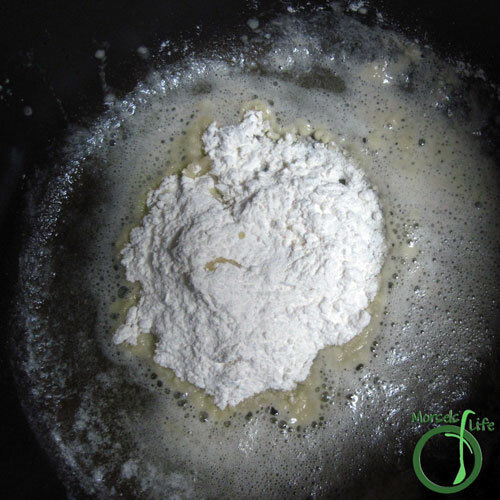 I first found out about Rebekah's Family Food and Fun when I was assigned her blog previously. I knew I wanted to make this recipe when I saw it, but I didn't have enough time before I left for Savannah. 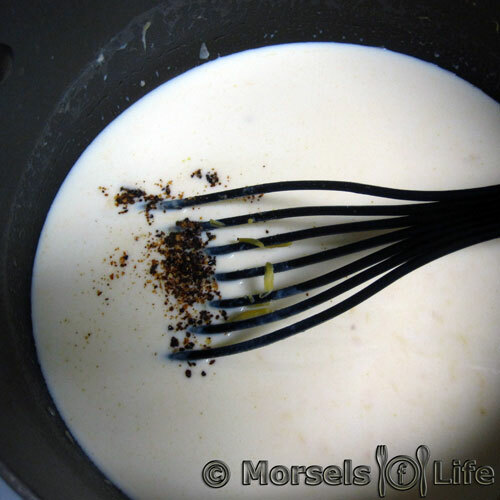 Well, I finally got to give this recipe a try, and I'm certainly glad I did! This green bean casserole's definitely not like your usual green bean casserole with cream of mushroom soup and onion strings on top. (Although onion strings on top of this green bean casserole might make for a tasty modification!) This green bean casserole's got a creamy cheesy filling with bits of bacon mixed in. The bell peppers also added a nice sweet flavor. 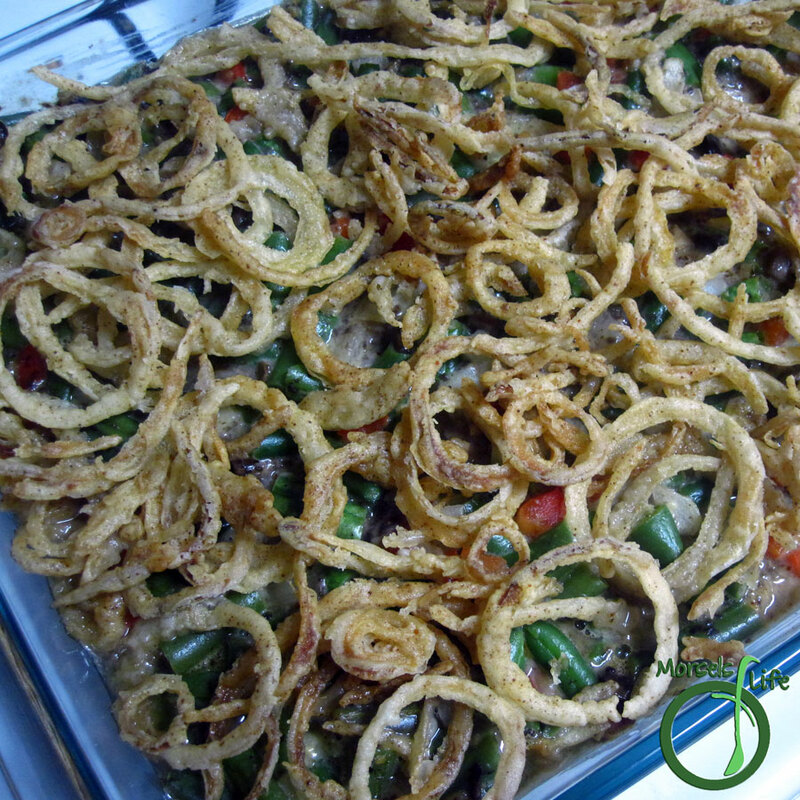 Next time I make this cheesy green bean casserole, I'm thinking I'll try it with onion strings on top. Maybe they'll give me some motivation to finally make some onion strings while I'm at it! I finally made onion strings! 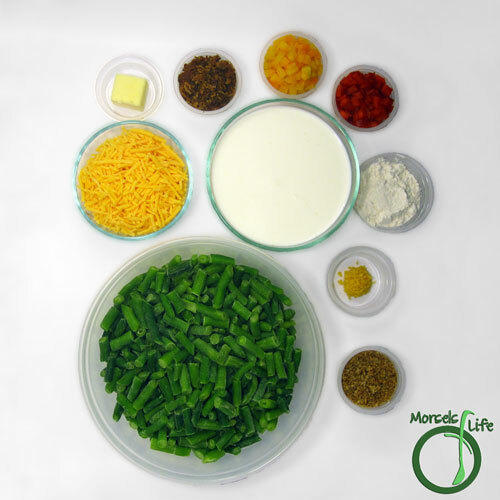 What's your favorite version of green bean casserole? 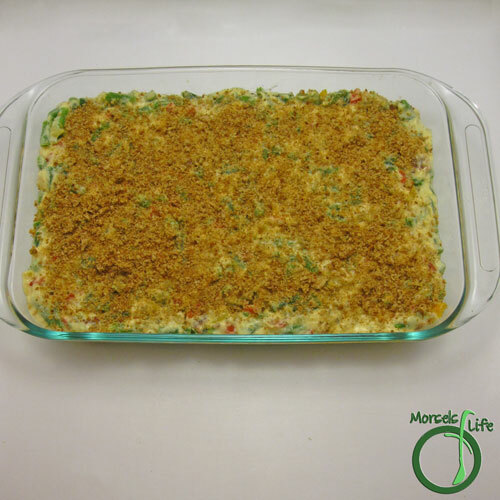 Cheesy green bean casserole baked with peppers and bacon along with a crispy bread crumb (or onion string) topping. 3 cups milk I used whole. 2. 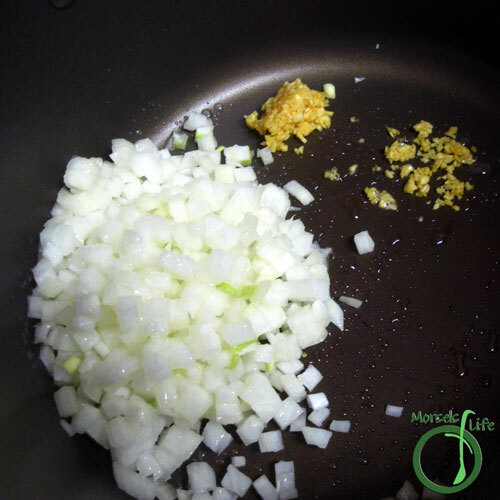 Cook garlic and onion in a bit of oil until fragrant. 3. 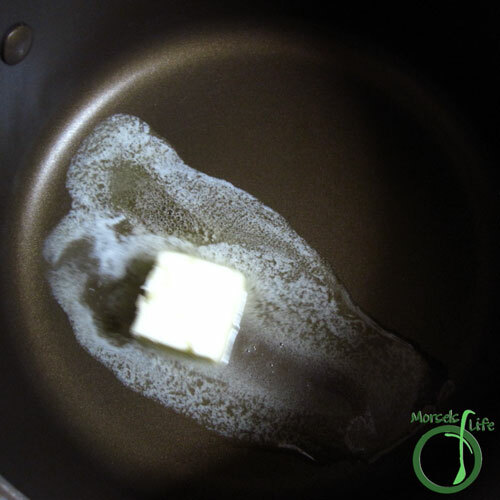 In a separate pot, melt butter. 5. 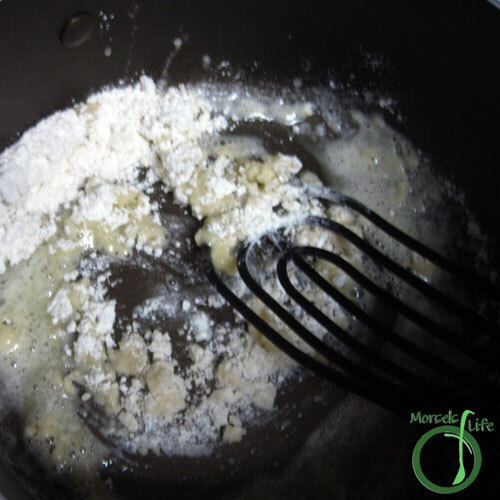 Mix into a paste. 6. 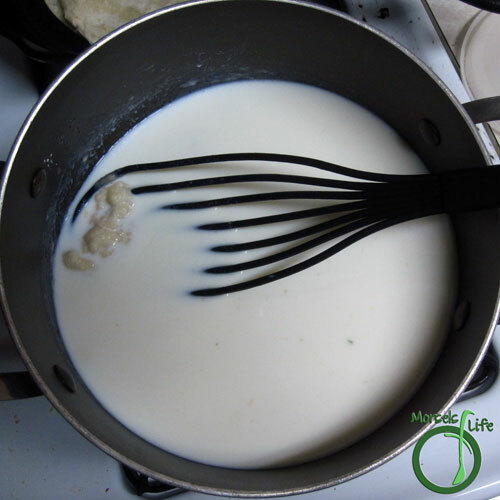 Add milk, and stir into a homogeneous mixture. 7. 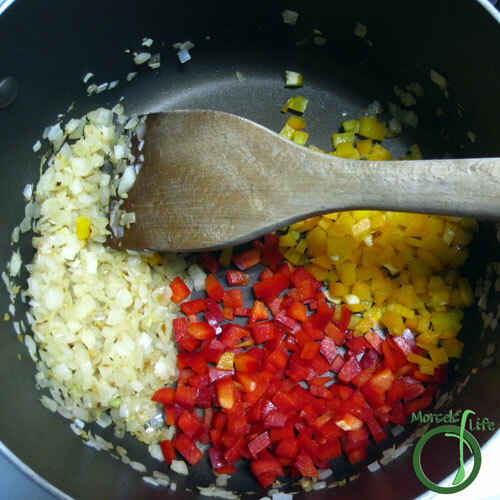 Add bell peppers to onion and garlic mixture. 8. 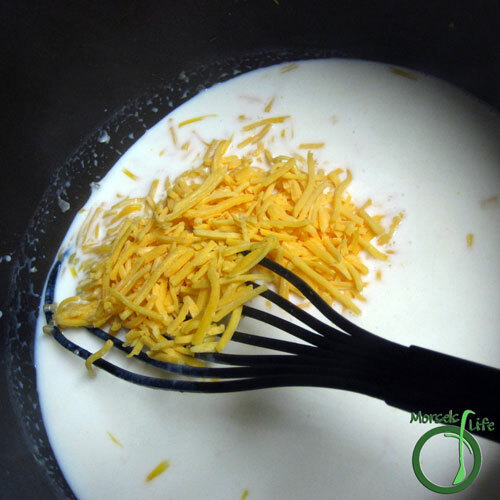 Melt cheese into milk mixture. 9. Add in a bit of chili pepper. 10. 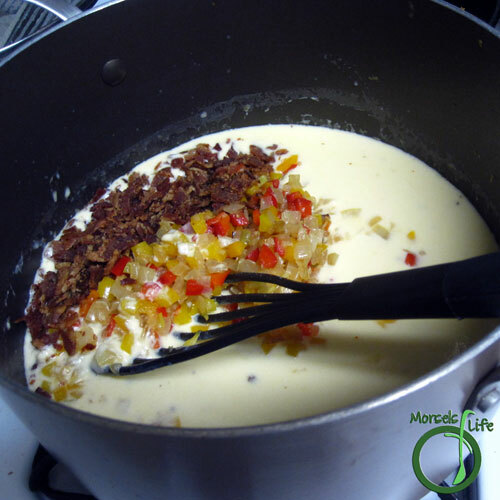 Combine the bell pepper mixture and bacon into the milk mixture. 11. Stir in green beans. 12. Place into a 13 x 9 inch baking container. 13. Top with bread crumbs (or even better - onion strings) and bake at 350F for 30 minutes. This looks delicious! I love the addition of cheese. Yes! 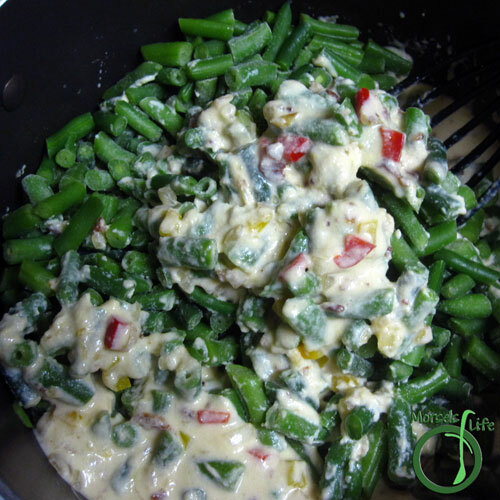 The cheese really made for a tasty green bean casserole. :) Can't go wrong with cheese. How can I just print the recipe? To print just the recipe, there's a few ways. The easiest is just to highlight the part you want printed, and then in your print dialog box, click on "print selection." Hope this information helps, and please feel free to let me know if you've got other questions! My Momma thought I was just too lazy to chew meat but I always was a veggie freak! Don't get me wrong I am @ times a carnivore preferring "the other white meat'. This sounds an inviting switch from green beans almondine my usual go to. Can't wait to try it. I think this will become a favorite as most of us are tired of thr original Green Bean casserole. I will try several different toppings. I think buttered garlic croutons would top the flavors. I love all your inventive additions to recipes. Buttered garlic croutons does sound like a nice addition! Maybe I'll have to give it a try too. :) Thanks for your comments! 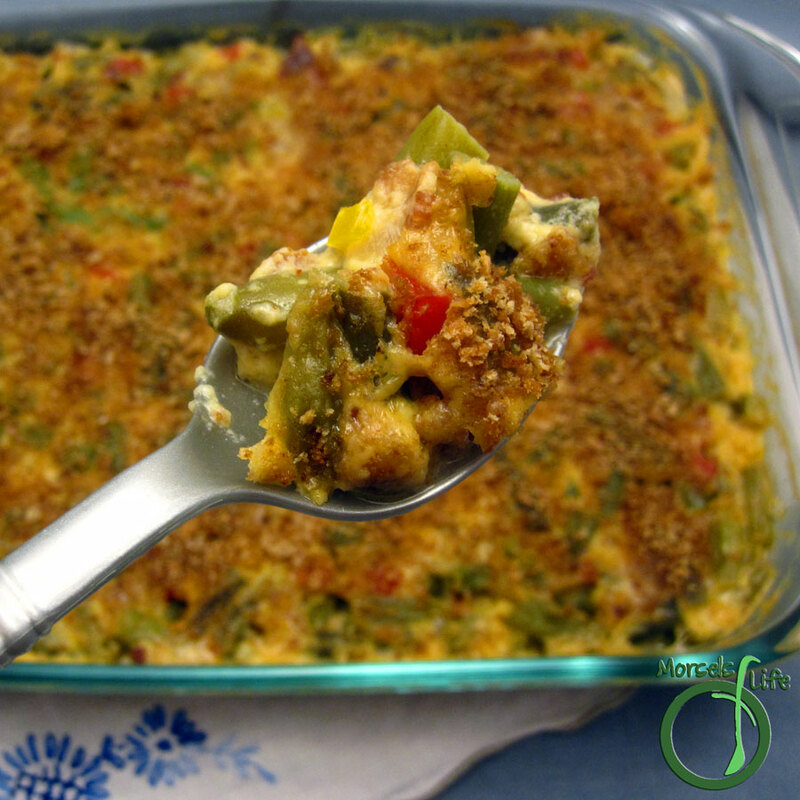 This Cheesy Green Bean casserole sound delicious and I all the spices & herbs you added. Thanks for sharing on Real Food Fridays. Pinned & tweeted! Thanks for hosting! It's even yummier with onion strings. :) Let me know what you think once you give it a try! 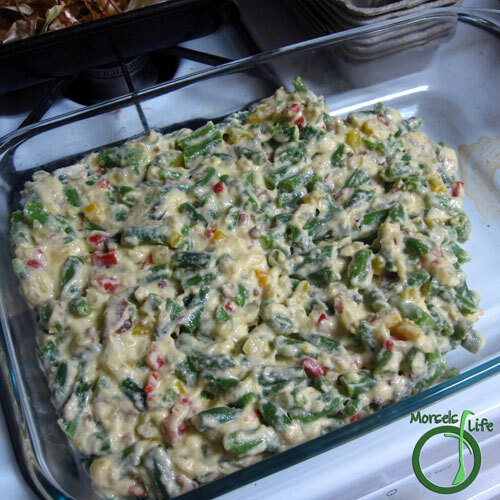 Oh this looks like a tasty alternative to the "normal" green bean casserole. I like it with the onions on top too. I love green bean casserole! Love the addition of cheese and bacon! Thank you for sharing this with us at #SaucySaturdays! Sounds like you'll love this version too! :) Let me know what you think if you give it a try. Do you know I have never made a casserole in my life? What is my problem? Especially when I see those onions...yum! Thanks for linking up at #SaucySaturdays. Awesome! I know your plate's always filled with yumminess, and it's an honor to be featured. :) Thanks for letting me know! Thanks for linking up to Simply Natural Saturdays! This looks great. Holy cow...I totally drooled! YUMMY! Oh my word...this looks so good, I want it right now, and it's only 8 a.m.! Yum. Thanks for sharing...stopping by from Coffee & Conversation! Delicious! What a great classic twist on one of my favorite dishes! :-) Thanks so much for sharing at MMM!